Click the button below to add the Girl's Hair Shampoo to your wish list. Today is a good day to begin removing potential irritants that may be detrimental to your daughter’s hair and skin. One of the easiest ways to start is with a shampoo made from the purest herbal ingredients on earth. Our Girl's Hair Shampoo delicately nourishes and revitalizes young girls' hair. Apricot Kernel and Rosehip Oils condition to leave hair soft, smooth, and manageable while Argan and Evening Primrose Oils moisturize and soothe the scalp, leaving hair silky and manageable. The mildest cleansers will gently rinse impurities, adding the perfect balance of moisture and the kindest care to hair. Made with gentle cleansers to remove buildup without stripping hair. Palmarosa and Orange Peel Oils are ingredients that add the fresh, supple scent of roses and sweet orange blossoms. 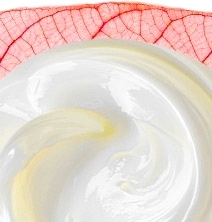 Argan, Evening Primrose, and Apricot Kernel Oils are vitamin-rich moisturizers. Coconut Oil moisturizes, conditions and promotes healthy hair. 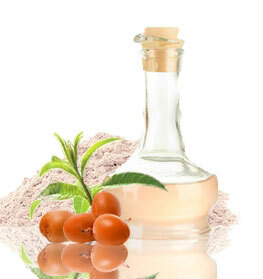 Broccoli Seed Oil adds sheen and luster to hair. Palmarosa Essential Oil has hydrating and antiseptic properties to condition and moisturize both scalp and hair. Aloe Vera is a nutritive conditioner that softens, moisturizes and nourishes the scalp and hair. Lather and leave on hair and scalp for a few minutes . "Did you know that rinsing your hair with bottled water is best? Most water has hard minerals in it, which accumulate on your freshly washed and clean hair. Using pure bottled water helps your hair be the best that it can!" • If your child's hair gets easily tangled, we recommend our Daily Spray Detangler. Your shampoos are amazing. The best we ever used. Have been looking for this truly nutritive line for years. My 14 year old daughters hair has been getting oily at the roots. I noticed what I thought was dandruff --getting worse with scaling and patchy areas -- a bit of pinkness I was worried about scalp exzema or psoriasis. Or maybe irritation from all the chemicals in other shampoos- not rinsing well enough, etc.. (You guys are truly the only ones who really mean it with quality, nutritive ingredients.) I just started using your girls shampoo/conditioner and vinegar rinse. HUGE improvement. It has only been one week and her scalp is 80% better. My daughter has very fine blond hair. She is 3 years old. It had only grown to just below her shoulders and was breaking and not growing anymore. And was always snarly. Just after receiving this I cut her hair short. It is actually the perfect little cut for her and I am hoping with this shampoo we will see an improvement as it starts to grow. She has also always has a little bit of "cradle cap". Its not quite the same but its in the same spot and is flaky and itchy. I have used this for a month and literally after the second wash, her scalp is itch free and the dry flaky skin is gone. Also leaves her hair very manageable even without conditioner or a tangle free spray. LOVE THIS. Not only does it smell great but it is made of great, healthy and non toxic materials, not loading the hair with chemicals that then wash into their eyes. I use it on my three grand kids, aged from two to six, the younger ones being girls with longer hair. Still stuggle with the youngest some but the others love the smell and with a promise of no tangles the five year old is totally on board. The two year old loves the smell. . . after the battle to shampoo, lol. I love it when there is something good that I can use with them ! Love that the product is without a bunch of chemicals. It smells great and makes me feel so much better that it is so gentle on my daughter. Will be buying this again. This shampoo and conditioner smells incredible and my daughter loves it. I'm very selective about ingredients and Just Nutritive meets my standards since it's free of all of the toxic additives present in so many formulations for kids. Bonus points for also being cruelty free. Clean and smells great on sweaty 4 year old's hair. We have tried many products (aveeno, burt's bees, honest company), and this is the first product that did not irritate my daughter's skin or dry up her scalp, and kept her hair smelling fresh. My daughter has a history of eczema and this proved to be a great product for her. Leaves their hair very manageable, especially the one with curly hair. The product itself is good. It cleans my hair and does everything a shampoo is supposed too but, the bottle the shampoo is in doesnt really work well. It is extremely hard to actually get the shampoo out of the pump because of the consistency of it. If the product was a squeeze bottle i think that would work out much better. I've been using this shampoo for 2 weeks now on my 21 month old hair. So far it works, lathers very well, and helps detangling the hair. I love that it's packed with good ingredients and still gives a nice clean feel without over stripping the hair of its nutrients. My hair is better. My daughters hair is better. It is really good. gentle on my daughter. Will be buying this again.